The following alternative ways of consuming Spirulina give you a choice. However, it should be noted that when mixed with other foods you may experience a reduced effectiveness in some of the good enzymes and vitamins found in Spirulina. Although, this is still much better than not taking Spirulina or even taking other food supplements. Of course the best way is to take Spirulina directly with a glass of water. As this minimises the loss of nutritional value of our product. What we are offering is simply a choice in how you take your Spirulina. Alternative Applications as found in "Spirulina, Nature's Superfood" by H. Morgan & K. Moorhead. 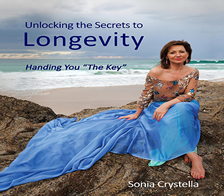 Spirulina is the wonder anti-ageing “living food”. For our busy life styles today, the following is an easy way of nourishing and treating your skin inside and out. On a daily basis whenever you prepare your raw fruit juices or fruit smoothies, add one teaspoon of Spirulina powder to start off with. start each day. Continue the treatment for three weeks and notice the difference in how you feel and look. You don’t have to believe this, you will know it. Be adventurous when feeding your skin, it is just like your body that needs variety. You will find the food that works best for you, because every one’s skin is unique. whole grain bread and cereal, rose hips, water cress. Add olive oil to your diet and increase purified water and herbal teas to daily diet. 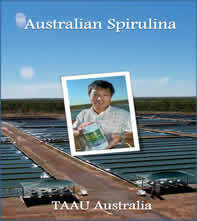 Add Spirulina as a living natural vitamin and mineral food supplement. Foods: Almond meal, apple cider vinegar, bran, brewer’s yeast, butter milk, cream, egg, Kefir, Kombucha, honey, kelp, oatmeal, sour cream, Spirulina, wheat germ. Fruit and vegetables: Apricots, avocado, banana, papaya, peach, pear, melons, carrot, celery, cucumber, lettuce, potato. Herbs: Aloe-vera, borage, clover, calendula, comfrey root, dandelion, elder flower, fennel, lavender, lemon grass, mint, nettle, rosemary, violet. Essential oils: Carrot seed, camomile, frankincense, geranium, jasmine, lavender, neroli, orange, patchouli, palma rosa, rose, rosewood, sandalwood, ylang ylang. Infused oils: Borage, calendula, carrot, evening primrose, rose hip. Cold pressed oils: Almond, apricot, avocado, grape seed, jojoba, olive, Soya bean, sesame, sunflower, safflower, wheat germ. Be creative, for your skin changes every day so change your formulas. Experiment with the different foods and oils as mentioned above for your skin. What you need is time and patience; keep a record of all your trials and errors. The following is a basic guide to mix your personalised formulas. Natural yoghurt 250 g, honey 5g, Spirulina powder 3g, essential oils 0.25 ml. Mix ingredients together. Apply twice daily onto moist skin and massage gently, then rinse well with water. Cider vinegar 10 ml, Spirulina powder 2g, rain water 80 ml, essential oils 0.25 ml. Mix ingredients together. Shake well before each use; apply twice daily as a splash on toner after cleansing. Apricot Oil 30 ml, grape seed oil 25 ml, vitamin E 1 drop, essential oils 0.25 ml, Spirulina powder 1g. Mix ingredients together. Shake well before using for Spirulina powder sediments will separate. Use 5-10 drops massage oil into the skin twice a day after toner. Oatmeal (fine) 60 g, corn starch 40 g, Spirulina powder 3g, essential Oils 0.25 ml. Mix ingredients together and add water until a soft paste. Apply with a soft pastry brush. Avoid contact with the eyes. Leave mask on for 10 minutes. Rinse with warm water, following with a toner and moisturising oil. Use once a week. Avocado 1/2, pure honey 1 tsp, Spirulina powder 3g, fresh cream 1 tsp. Mix ingredients together and apply to well cleansed skin. Lie down and relax with fresh cucumbers on the eyes. Leave for 15 to 20 minutes. Rinse with warm water, then with cool water following with toner and moisturising oil. Spirulina is rich in protein which is what the hair needs to be fed with internally and externally to maintain healthy, shiny and sleek hair. Shampoo will cleanse and nourish the hair. without stripping the natural oil out of your hair. Can be used for all hair types. Whole egg (depending on hair length) 1 or 2, milk 3 tbsps, Spirulina powder 1 1/2g (1/2 tsp. ), lavender essential oil 3 drops. Whisk the ingredients together until thoroughly blended. Wet hair and use as normal shampoo. Rinse off thoroughly, adding 1 tablespoon of cider vinegar or Kombucha to the final litre of rinsing water. Shampoo enhances body and shine, and rejuvenates the hair follicles. Shampoo ¼ cup, filtered water ¼ cup, fresh avocado 1/2. Combine all ingredients into a blender, and blend until smooth. Wet hair and apply shampoo, gradually adding warm water and working into a lather. Rinse thoroughly until the hair is clean. Then use hair conditioner, and add 3 drops of lavender essential oils, then rinse thoroughly. This conditioning hair pack is suitable for dry or for chemically treated hair. Whole egg 1, olive oil 25 ml, natural yoghurt 150 ml, pure honey 2g, Spirulina powder 2g, sandalwood essential oil 10 drops. Whisk the ingredients together until thoroughly blended. Apply to dry hair and cover with a plastic shower cap, then wrap in a warm towel and leave on for 20 minutes. Apply shampoo directly onto the treatment then rinse. Reapply shampoo and rinse off thoroughly, adding 1 tablespoon of cider vinegar or Kombucha to the final rinse water. This hair pack is rich in vitamin E, protein, lecithin and essential fatty acids. It feeds the follicles with nutrients required for healthy hair growth. Avocado oil 2 tbsp, wheat germ oil 1 tbsp, whole egg 1, Spirulina powder 11/2 g, rosemary essential oil 5 drops. Mix all the ingredients together. Massage thoroughly and gently into the scalp, put on a shower cap, and wrap the head in a hot towel and leave on for 20 minutes. Apply shampoo directly onto the treatment then rinse with warm water. As the hair pack is highly emollient it may need to be shampooed twice. Use Spirulina shampoo for it is gentle and stimulates growth. Spirulina Bath Treat Pampered and treat yourself to a nourishing luxurious aromatic bath. Evoke a vision of Cleopatra lolling seductively in her swan-shaped tub. Oatmeal fine ½ cup, Spirulina powder 1-2 tsps, lavender essential oil 5 drops, warm water 2 cups. Olive oil 1 tbsp, sesame seed oil ½ tbsp, Spirulina powder 1-2 tsps, geranium essential oil 5 drops. Apple cider vinegar, 1 cup or Kombucha vinegar, Spirulina powder 1-2 tsps, lemon essential oil 5 drops. For the above bath treats, place all ingredients into a blender, whisk until blended. Fill the bath before adding mixture. Swish to combine, then luxuriate for at least 15 minutes while your body is being nourished. Pure boiling water on to dried herbs, cover and allow to steep for 3 hours. Strain and cool then add Spirulina and blend before adding to the bath water. N.B Increase Spirulina powder in any of the above bath recipes to your body’s desire.